As renewable energy producers are more and more pushed towards the market by regulations, players such as aggregators have a need to assess the yield of wind turbines or solar plants in terms of revenue gained at the energy exchange. However, in most cases there is little data to make this assessment – because decisions have to be taken in short time, or simply because actual data does not exist in case of new sites. Simulating the generation and the revenue of the plant can help. This is why enercast is launching a new product, allowing to assess a new site in no time: enercast YAS. During the development of enercast YAS, we have collaborated closely with our customers who are active in providing market access services. This allowed us to incorporate feedback from our pilot customers into the product, so that its usage and calculations are as much as possible aligned with their applications. 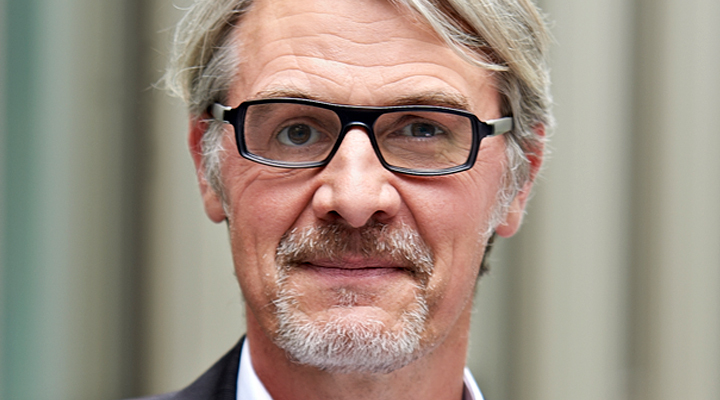 enercast YAS allows an instant yield assessment, as a physical simulation of the power generation is contrasted with prices (EPEX SPOT day-ahead hour contracts for Germany) and the monthly reference price (Marktwert according to German regulation) to calculate the revenue spread. This assessment is not just a static number but calculated in hourly resolution. Of course, all data can be downloaded for in-depth analysis. 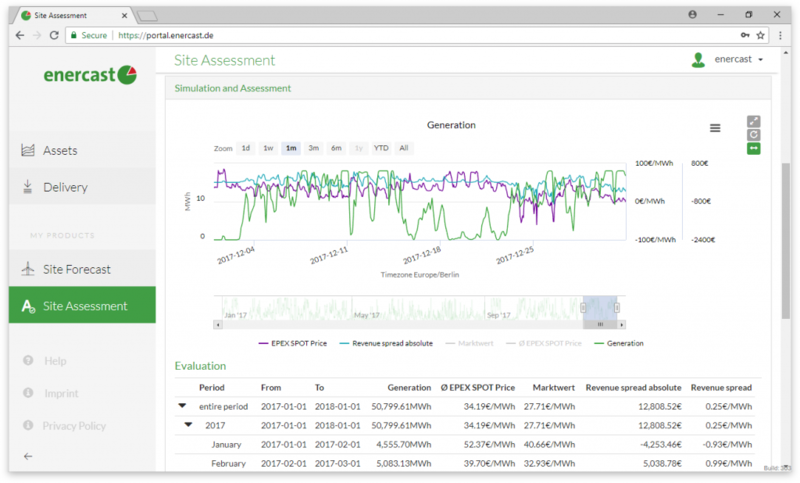 The visualized power generation and performance in comparison to spot market data can be interactively broken down into smaller periods in order to inspect them in detail. It suffices to enter few parameters regarding the location, installed capacity, and technical details of the plant or park (turbine model for wind, orientation and tilt for PV). The backward projection from 2015 which uses the same reliable algorithms as enercast PFS is performed in a matter of seconds, thanks to enercast MeteoStore X providing instant access to historical, location-specific weather data. 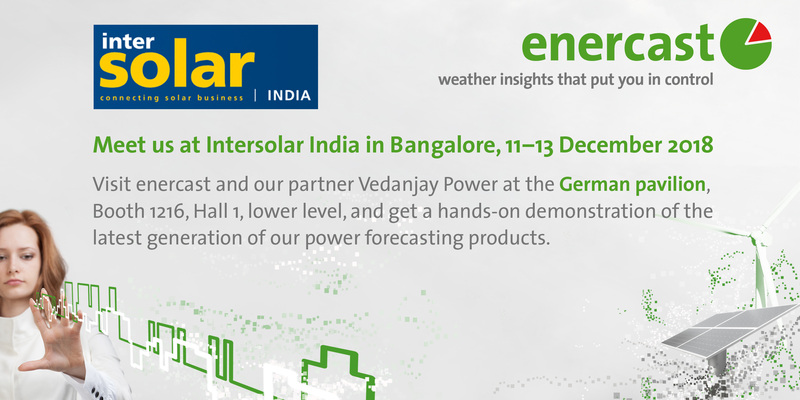 enercast YAS is now available as a web application (software-as-a-service) for market regions Germany and France (more market regions to come) and is part of our Summer Release which ties in with the success of our new enercast Portal launched at e-world 2018 and includes a multitude of practical improvements. Curious? Then start your free 30-day trial instantly and evaluate enercast YAS without any obligations. To request a quote, don’t hesitate to call us or send us an e-mail.